It must be accessible to as many people as possible. You should always be able to navigate around in the web site. By making information more accessible, it will also result in a better search engine ranking. 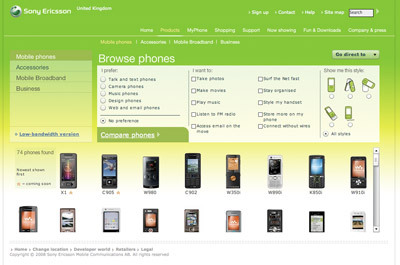 I decided to test the UK version of Nokia and the UK version of Sony Ericsson against the above mentioned measurements. Naturally, a test could be a lot more detailed than what I am about to show you, but I think it gives you a hint of the technical level and how the rest of the web sites probably are implemented. After having tested the two pages for both respective companies, let’s run it by my three points of quality I mentioned in the beginning. 1. It must be accessible to as many people as possible. Nokia: pass. Sony Ericsson: failed. 2. You should always be able to navigate around in the web site. 3. By making information more accessible, it will also result in a better search engine ranking. Why this is interesting from a search engine ranking perspective, making it even more important from a business standpoint, is that when there’s almost no proper internal linking going on in a web site, and fewer elements to find text in and virtually no proper and semantically marked-up code, it will affect the search results. 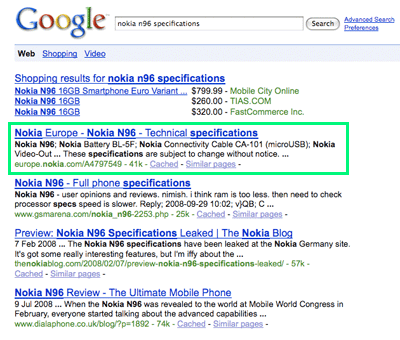 As you can see, a Nokia web page is result number one, just as expected. 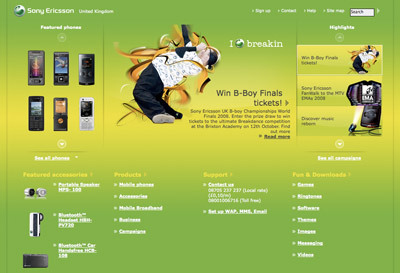 To prove above established point, Sony Ericsson fails to gain the first position, and isn’t actually found until the fourth place, surpassed by CNET and GSMArena. 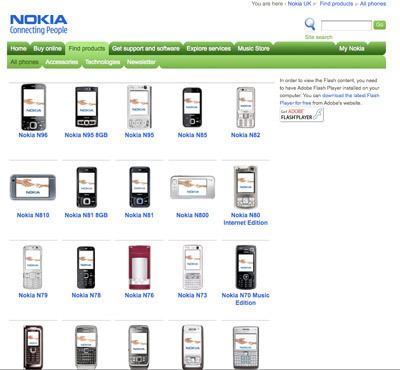 So, again: Nokia: pass. Sony Ericsson: failed. 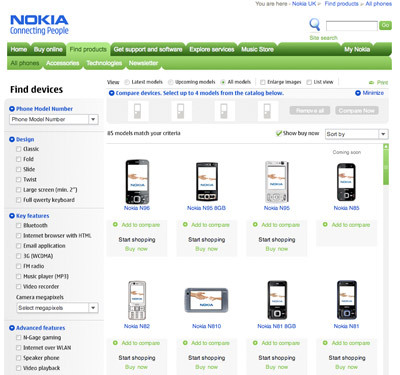 The Flash with the available cell phones has a fixed height, which makes it far less than optimal in the web browser window; the height should naturally be adapted to its environment. A native scrolling method is introduced in the Flash, where the result is both a small local scroll instead of just the page scroll, and also that the scroll wheel doesn’t work for any of them. 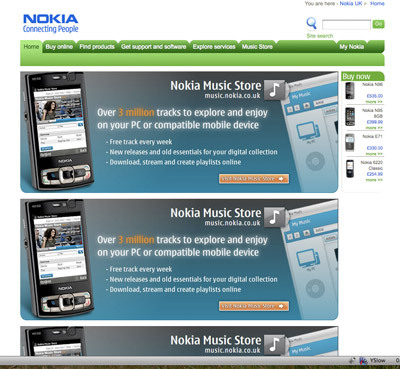 If I for instance want to open three product detail pages in different tabs, it’s impossible. In their choice of Flash as a technology, they have crippled my normal web surfing behavior, with a “we think we know what work flow is best for you”-attitude. There are lots of other things which could, and probably deserve to, be dissected when it comes to these web sites and factors such as truly accessible and semantically correct code, HTML validation errors, performance etc, but let’s leave that for now. I think what this shows is that the overconfidence in Flash is very much still out there. And please, let me point out that I have no problem with using Flash, but given the usability and accessibility challenges offered, why go down that road if it doesn’t really offer any heightened end user experience? Just use the right tool for the job, really. In your case, it’d say it’s not worth it, neither for you as a business nor your end users. Therefore, I strongly urge any Web Developer out there to seriously take accessibility into concern, and to anyone ordering a web site from a company, demand that this crucial factor is seen to. Great entry, Robert. I really hope that the right people at the respective companies (and others) see this. I mean, somewhere along the line, someone have to explain that they knew nothing of accessibility or completely ignored it. Either is really, really bad, especially more so for the template of a world-wide site. Loved the pagerank test, dead on target I's say. I've been spending quite a bit of time at both sites lately as I'm thinking of upgrading my phone. 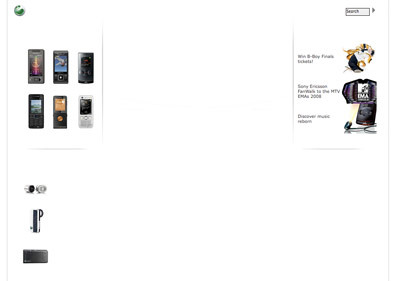 Currently, I have a Sony Ericsson – and I like their phones more than Nokia. Yes, I like the iPhone – but I don't like O2 (the phone's UK exclusive provider) – so that's not an option for me. 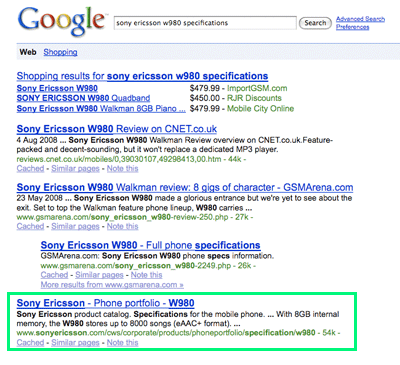 Both web sites (Nokia and Sony-Ericsson) rely far too much on scripts and that's definitely bad practice. Good observations and comments Robert. Yes a well written article Robert, nice work. You might look at Arts Tasmania, a government website here. Being transparent I should point out that DEPHA (Dept Environment, Parks, Heritage and the Arts) Web team are responsible – and they happen to be the group I resigned from a couple of weeks ago. 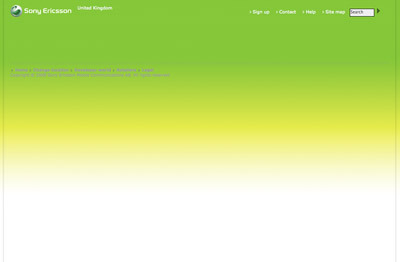 When they mentioned this site at my initial interview I burst out laughing very loudly. Couldn't help it – they'd just grilled me for 10 minutes about web standards and best practice. Anyway, there's nothing like the analogue arts industry to get shafted by the shiny Flash object lol… personally I think on that site JS off is the best experience. 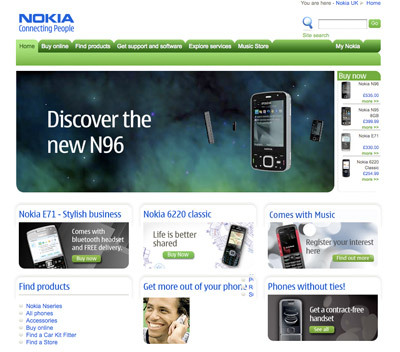 What really gets me though is that when you go ask these guys they're – Nokia team, for example – they've had so many "designers" and "managers" slapping each other on the back that there's no way they'll see their work as flawed. For christ sake it was in the company newsletter! The general manager sent an email!!!!! OK I'm a bit jaded in my new unemployment but having just come from a "Flash Banner on everything" environment I could draw and quarter Mr Flash developers far and wide for this kind of stuff. I'd truely love to see how this could improve the stats. It's the local poster child for worst practice BTW. I've been meaning to do an article on it but it's just too easy. Swishy navigation you have to chase, and all that swishy stuff. According to Alexa, 99% of other web sites are slower, so that feels good. Feels good that I have done my performance homework. Sure, it's not like everything's wrong with the Flash versions of their web sites (although overall, personally I don't prefer them). And the web is full of people using things just because it's possible, but not necessarily always the most suitable. I won't go into Arts Tasmania in detail here, but thanks for the rant!